Click the button below to add the Rib Rub Party Pack to your wish list. 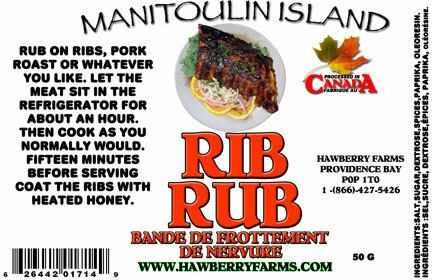 Rub on ribs, pork roast or whatever you like. Let the meat sit in the refrigerator for about an hour. Then cook as you normally would. Fifteen minutes before serving coat the ribs with heated honey. Ingredients: sugar, dextrose, spices, paprika, oleoresin.